Garota da Urca, Brazil, Rio de Janeiro, Rio de Janeiro, Urca | Connectbrazil.com - Music, Travel, Friends and Fun! The Garota da Urca Bar (Av. 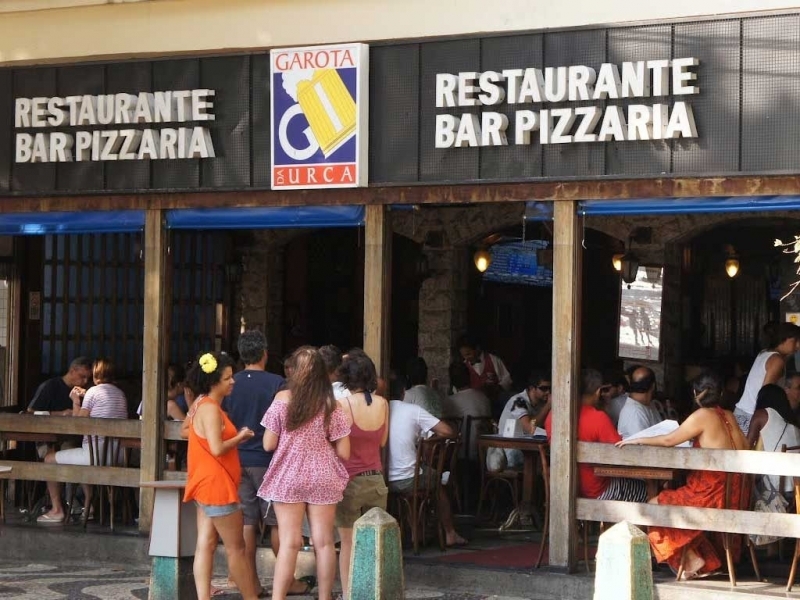 Joao Luis Alves 56) is one of the few remaining locations of the original Garota de Ipanema (Girl from Ipanema) chain that dates all the way back to the early 60's and its namesake Veloso Bar in Ipanema. Urca is home to many of Brazil's music and media stars and Alves is the main street which weaves its way around the perimeter of the bay. Located across from the Praia da Urca, this 'off the beaten path' pub has a great after dark vibe, thanks to the local crowd and a stunning view of Rio's swanky Yacht Club and the towering Cristo Redentor atop Corcovado in the background. The menu delivers more than you’d expect as a passer-by: with a well-known reputation for great pizza and a variety of nocturnal noshes, like pasteis: flakey pastry pillows filled with cheeses, shrimp or meats. Not peckish? Try the Picanha for three, with tasty fries and other sides, Wash it down with an ice cold chopp (draft beer). This place also serves up a mightily persuasive caipirinha. Serious sippers can request from a very smooth 12 year cachaça section. The curbside appeal makes this great with friends, and while the service can be nothing to write home about, don’t worry… you’ll want to save that postcard for the memories you leave with. Folks, this is truly a hidden gem of a place to hang with the crowd in Urca. Service can be spotty, but the food is great, and drinks are too. So is the location (on Guanabara Bay, in the shadow of Sugarloaf), especially as the sun sets is unique and appealing. Another recommendation form Connectbrazil that really paid off! Good times!